Gunday First Tuesday collections are fine and at par with what can be expected for a week day box office collections. We all expected Gunday to open good on Box Office and this is what was seen during the first weekend. Being One of the most awaited movie of 2014, Gunday released on around 2800 screens and has been grossing well on box office. 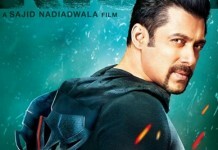 The movie was able to hit it well at box office on Tuesday as well, thanks to a steady start and good pace. Gunday collected around 6 crores as per early estimates on its fifth day. Gunday was able to gross upto a figure of 5.15 Crores on its first tuesday box office i..e. on its fifth day at silver screen. Gunday also crossed the magical halfway mark of 50 Crores on its fifth day at box office. Lets have a look at how Gunday grossed on fifth day. It seems to be very beautiful movie i am going to see it.